If your garage door opener is in need of repair, you will need a quality team of specialists that can help you out. We are that team of specialists, and we have many years of experience to back up our superior service. 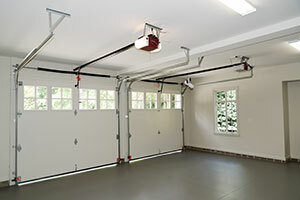 We are a certified and insurance garage door repair company that can tackle any repairs you may have. We work with large and small problems without any issues at all, and we would be happy to assess your needs right away. One way that you can tell just how much we strive for quality is by looking at the products we have to offer. We only work with the top brands in the garage door industry, and we do that to ensure that our work lasts as long as possible. You can get repair parts from Craftsman, Chamberlain, Sears, Liftmaster, Marantec, and more. Rest assured though that if you have a garage door that is not from one of those companies, we should still be able to help you out. We can provide you with further information when we come for a consultation about your garage door opener. We offer a wide range of services that should be able to meet your needs. Whether you have a chain drive, belt drive, or screw drive garage door opener, we can find a way to accommodate your specific situation. Our service technicians are trained to replace springs, cables, tracks, and more, so you never have to worry about having a job we cannot handle. Even if you need a whole new garage door installation, we can do the garage door replacement for you. We have opportunities every step of the way. Our service trucks are always filled with as many parts as possible so our technicians will not have to come back to the shop to finish their job. They can stay with you and get everything serviced at one time, giving you same day repairs that you cannot get anywhere else. We are a great team of people to could on whenever you have a problem with your garage door opener, and we are committed to making sure that our customers are well taken care of. If you call us up for a consultation, we can easily see what we would be able to do for you.